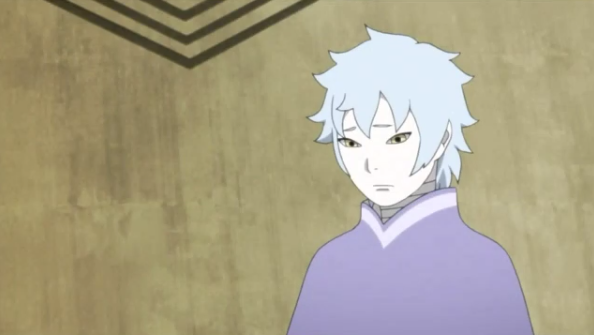 Boruto: Naruto Next Generations' Mitsuki Disappearance arc has seen less of a focus on Mitsuki as it continued, but it seems like before it's all said and done it will return to how Mitsuki feels now that he's wrapped up in this that preview for the next episode of the series teases that Mitsuki will be in one of his most toughest fights yet, at least emotionally, as he has to do battle with his new friend Sekiei. The Episode 90 of the series is titled "Mitsuki and Sekiei," and the preview teases the fallout of Mitsuki's "betrayal." In the latest episode of the series, Mitsuki attacked the Fabrications' leader Ku and revealed that he was really working on the side of the Hidden Leaf all along and Sekiei was hurt by this. Sekiei has been the Fabrication closest to Mitsuki, even vouching for him when he figured out that Mitsuki was probably going to betray them. Sekiei unveiled to Mitsuki how much he had been hurting after losing two of his friends, and now another that he's confided in him has betrayed him. Sekiei has been the one closest to outright developing "human" emotions, so it's no surprise to see him lashing out as emotionally as he does in the next episode. The preview for the episode teases that Sekiei's battle with Mitsuki will continue to tear his body apart much like his comrades, so Mitsuki still wants to reach out and save him while there's still a chance. Sekiei's lost in his emotions, however, so he doesn't want to listen at all. With Mitsuki still wondering about what constitutes one's will, the fight here may bring him as close to the answer as he would hope.